Luke recently recorded some very impressive aerial and still footage for Tourism Australia in NSW. 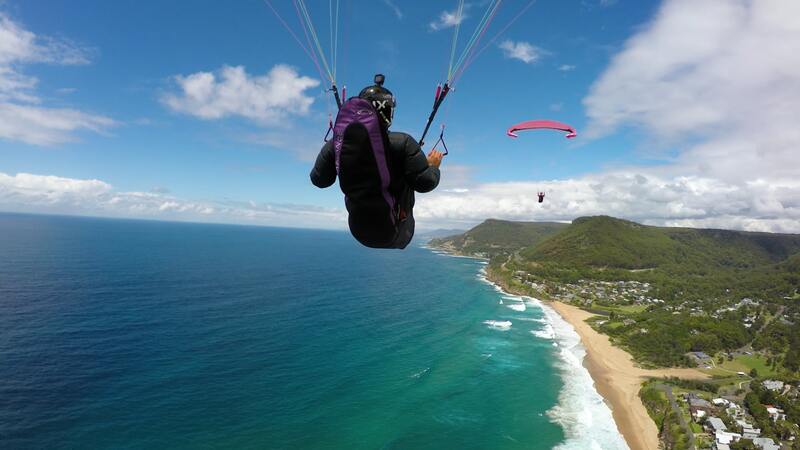 Collaborating with Tourism Australia, photographer and Instagram star Luke Bakhuizen recently created some remarkable footage paragliding in Wollongong, NSW, filming using a custom-made, one-of-a-kind gimble to record the beauty and excitement of the experience in a way that certainly left Wollongong looking its best. The general idea of the design of the device the photographer created to capture such impressive footage is using an arrow with a gimbal and camera in the direction of flight, attached to the rear lines of the paraglider and held back by a windsock. The action camera can then be remotely activated via wifi and set to record at specific times during the flight. To make things even more exciting the design of this chase camera is being further developed to be sold to market by Bakhuizen so others can capture their own adventures in a similar way. So far the eye-opening video posted by Tourism Australia on Instagram https://www.instagram.com/p/Bev2PyhDmhl already has over 260,000 views and has broken the half a million mark on Facebook. The video is intended to boost tourism in Wollongong ahead of the Queen’s Baton relay arriving prior to the commonwealth games in Australia. For more information on Luke Bakhuizen and his work be sure to visit http://lukebakhuizen.com.